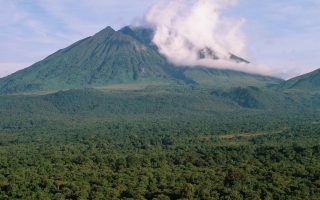 Rwanda Gorilla Tours allow for the discovery and exploration of Rwanda including tours to the national parks, Cultural sites and of course; Mountain Gorilla trekking in Parc Nationale Des Volcans – also known as Volcanoes / Virunga national park. Gorilla trekking in Rwanda gives you the opportunity for an up-close encounter with the highly endangered mountain gorillas. 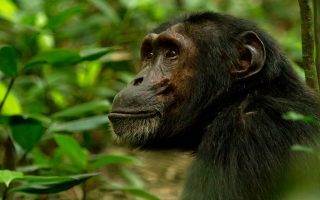 Call it a one-on-one experience with the gentle primates as you stand just 6 meters away from the magnificent mountain Gorilla, watching them and gazing into its brown eyes. 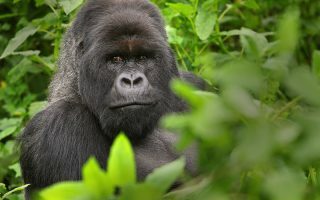 Gorilla tours in Rwanda are highly recommended for those that are short on time as the connecting time from the airport in Kigali to the Gorilla trekking base in Musanze / Ruhengeri is quite short compared to Uganda’s Bwindi and Mgahinga that lie 8 hours away from Entebbe airport or Kampala city. 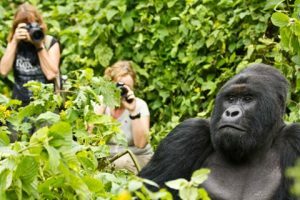 Since Rwanda tripled its Gorilla permit price in May 2017, there has been a tremendous increase in visitors trekking with gorillas in Bwindi and Mgahinga from Rwanda’s Kigali airport. 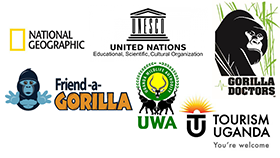 Both parks can easily be accessed with 3 to 4 hours of driving from Kigali which presents a great opportunity for those looking for budget gorilla trekking tours. Rwanda Gorilla tours in Volcanoes national park can be combined with a number of other interesting activities in and around Musanze / Ruhengeri town including a visit to Musanze caves, Iby’iwachu cultural village and the remarkable twin Lakes of Burera and Ruhondo with great marshes for bird viewing plus a number of lovely community walks in Kinigi. 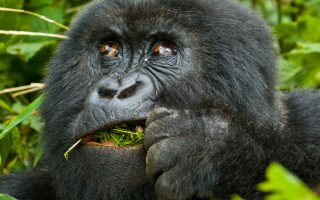 Trekking with Gorillas in Rwanda is in itself overwhelming but these small additional tours in Musanze create an authentically rewarding Rwanda Gorilla holiday. 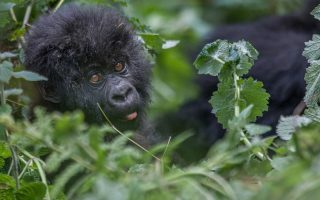 If you are looking to combine a Gorilla trekking safari with a safari in Kenya or Tanzania, Rwanda will be your ideal destination for your gorilla trekking safari. 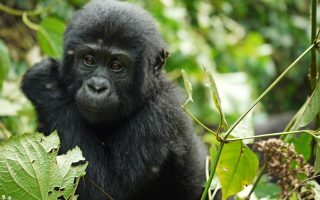 Rwanda gorilla tours can also be combined with Chimpanzee tracking in Uganda’s Kibale forest or a Game drive and boat cruise on the world famous Kazinga Chanel in Uganda’s Queen Elizabeth national park giving you the best of both worlds on a carefully crafted twin center holiday to deliver a memorable Rwanda & Uganda Gorilla holidays. 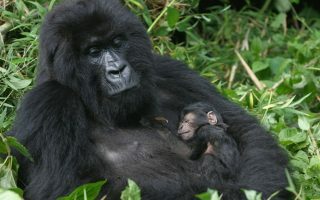 Our safari packages range from 1 day express tour, 2 Days and 3 days for a typical gorilla trekking safari in Rwanda. 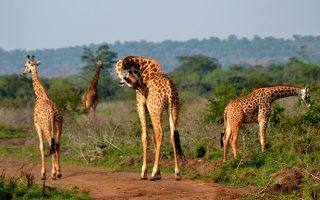 However, we extend these tours up to 12 Days in Rwanda exploring the major destinations with ease and comfort. 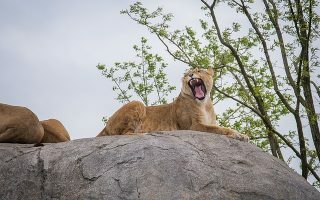 We also offer tailored safari packages where we will work around your needs, time and budget to deliver an authentic holiday tailored to perfection by our Rwanda safaris experts. 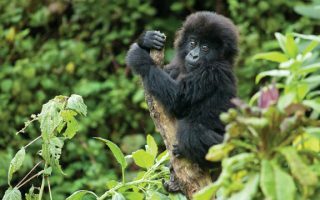 Check out a highlight of our Rwanda tours and Gorilla trekking safaris below or Contact us now for a tailored Rwanda holiday.